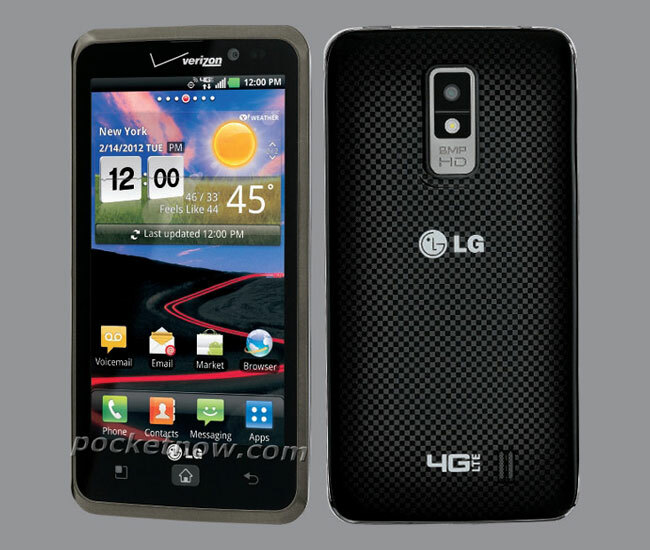 Details and a photo have been leaked on a new Android smartphone from LG which is headed to Verizon, the LG Spectrum, which is the successor to the LG Revolution, and the device will come with Android 2.3 Gingerbread. The LG revolution will feature a 4.5 inch IPS touchscreen display with a resolution of 1280 x 720 pixels, processing is provided by a dual core 1.5GHz processor and it comes with 1GB of RAM, 4GB of built in storage, plus a 16GB microSD card. Other specifications include an 8 megapixel camera on the back which can record video in 1080p plus a front facing 1.3 megapixel camera, HDMI, DLNA, WiFi and a 1830 mAh battery. The specifications are very similar to the LG Optimus LTE and the LG Nitro HD, there are no details as yet on when the device will be available with Verizon.